Anderson was spotted at the World Series game on Saturday night with a camera crew and a press badge that said 60 Minutes. 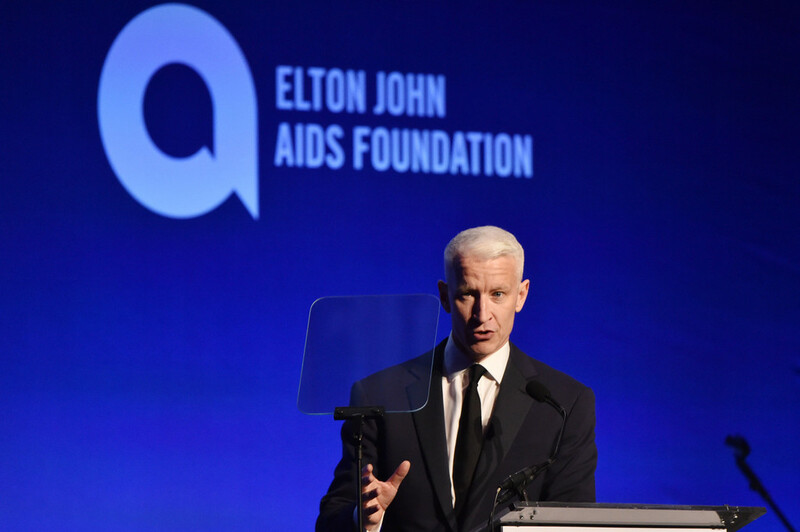 John Berman was back in the AC360 anchor chair on Monday night as Anderson Cooper was Emcee for the Elton John Aids Foundation's Enduring Vision Event. Below are a selection of photos we found from the event. 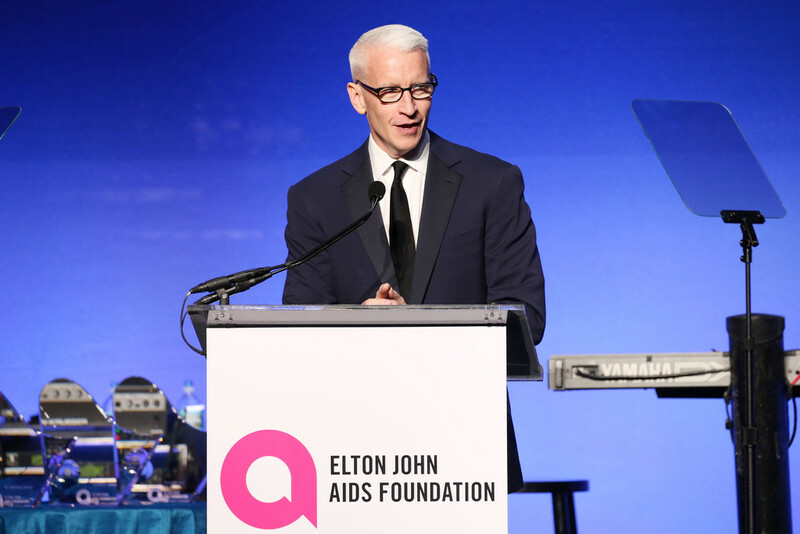 I was wondering why AC wasn't anchoring--I'd forgotten about the Elton John event because it seems like it's usually in October. It looks like a seriously upscale charity event but it is for a very important cause. I guess those photos of AC and Ben holding hands might finally shut down the talk about AC and Anderson dating, but they don't look too comfortable doing it, lol. I'm still not sure what AC was doing at the World Series, I guess another 60 Minutes piece? AC has hosted this wonderful foundation for years. AC and Cohen have been friends for years. Its tough for those who are not in the life to know this but will try to explain. I always assumed AC and Cohen were like buddies, best friends once I knew they were dating. In gay community there are some people who are just friends and friends only and those who you may have potential to date. AC and Andy just seem like good "girl friends" in gay parlance lol. Besides AC's type it seems are beefcake types who are less flamboyant and low key. Judging by Ben and Julio from the past and other rumored men. Andy talks to much is a bit flamboyant for AC's type. Nice to see AC and Ben holding hands.... awwwwww. They looked fine to me doing it. AC looks happy and Ben confident. 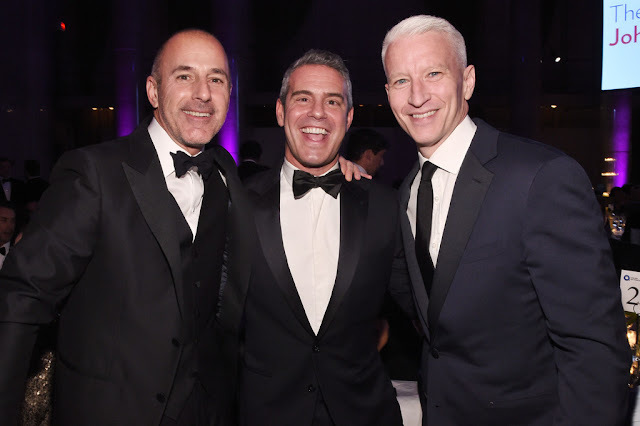 Now if only AC would stop his bias reporting or 360 unbalanced reporting to favor republicans and I would feel better about him and his show. 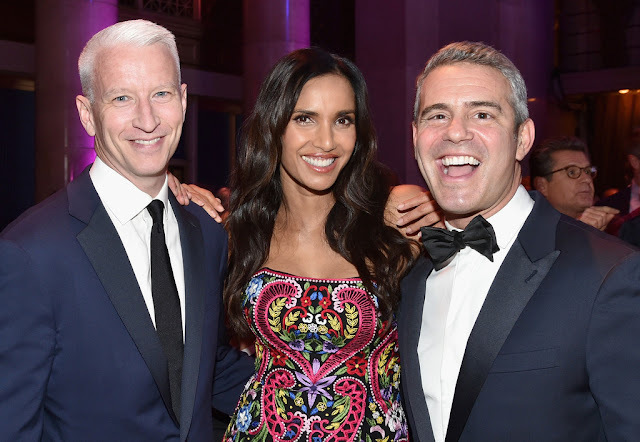 ANDY COHEN, IN THE NY TIMES MAGAZINE SECTION. HE IS AS FLAMBOYANT AS THEY COME AND WOULDN'T BE THE KIND THAT WOULD JUST SIT BACK AND LET ANDERSON TAKE THE SPOT LIGHT THE WAY HIS PARTNER, BENJAMIN APPARENTLY DOES. THE BOOK THAT ANDERSON IS WRITING WITH HIS MOTHER WILL BE INTERESTING AND NO DOUBT A BEST SELLER. BUT, I FOR ONE, DON'T CARE FOR THE TITLE AND WHILE YOU CAN'T TELL A BOOK BY ITS COVER, YOU CAN OFTEN TELL SOMETHINGS BY THE TITLE. WE SHALL SEE. THEY WERE SUPPOSED TO DO A DOCUMENTARY ON HBO. Still doing a documentary on hbo according to ac2 show.